We all think we know the cost of a wrong hire in sales. Many of us have paid the heavy price, but we often do we overlook the person whose job it is to hire the best and get the best out of them, the Sales Manager. If you think hiring the wrong salesperson is expensive, you can multiply that cost by 5-10x when you hire the wrong sales manager. * Does your manager try to manage the numbers? * Is your manager focused on being a supervisor? * Do they treat recruitment as a chore and an interruption to their real job? * Are they taking too long or failing to manage turnover? * Are they managing from an ivory tower? * Do they confused training with coaching and why does this matter? * Do they rescue & accidentally create a culture of upward delegation & learned helplessness? * Do they believe the excuses they hear? * Are they more concerned with being liked than being effective? * Are they inconsistent or lack clarity? * Do they do what was done to them? * Are they blaming their salespeople instead of taking responsibility for fixing the problems you need them to fix? * Are they focused on the helping the wrong people? * Are they worried about playing favourites? If you answered “yes’ to any of these questions YOU have a problem. 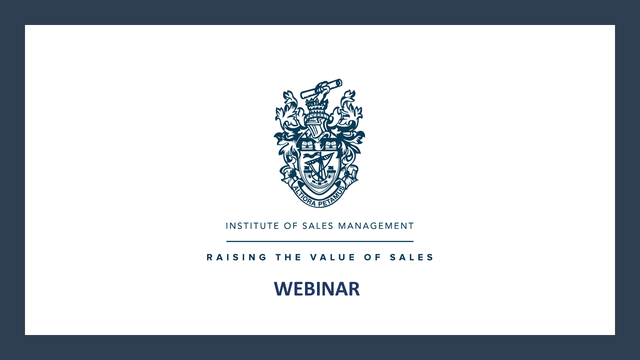 A webinar for owners, CEOs and sales managers who are brave enough to look into the abyss. Not for softies!